Have you ever looked at your planner and knew you needed to add something? I was looking for a way to add a pocket that closes as I needed a place to store my more important receipts and notes that I knew they wouldn’t slip out of. Mine comes with plenty of open pockets, but I wanted to make one of my own that would close. 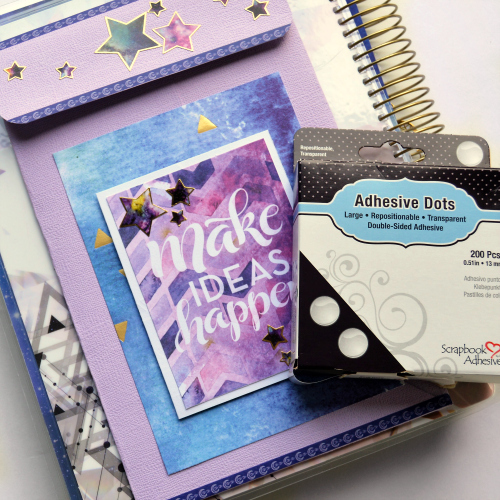 Today I am going to show you how to use Adhesives Dots that are Repositionable and the E-Z Runner® Grand to make a DIY Planner Pocket! The directions for how to make this are very simple and just require a few products! Now let’s dive into the video and see how it all came together! 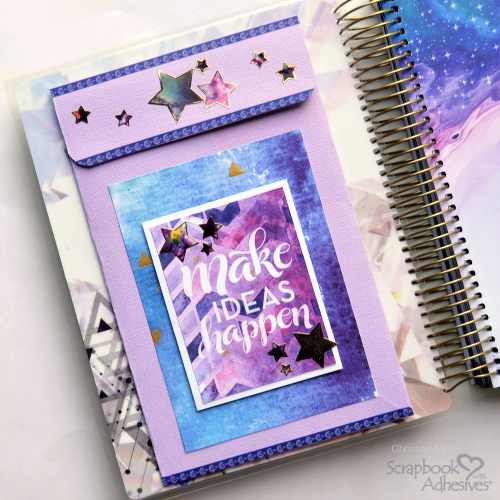 As you saw the Adhesive Dots being Repositionable are really a key part to the success of this Planner Pocket. I used them to both secure it to my planner cover as well as to close the pocket up. If they happen to get worn out, I can simply pull my box back out and replace them! Now I am all ready to roll – thanks to a few simple supplies! 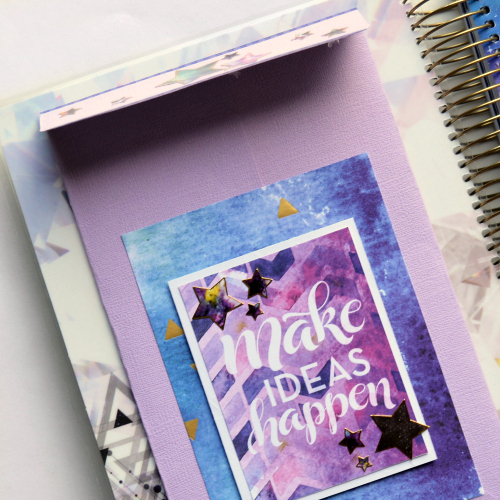 But let’s not forget that this doesn’t have to be just for a planner! Additionally, you could make this for a Scrapbook Layout too and enclose something like a report card on it. You could also size it down and add it to a card as a fun and interactive element! Thanks so much for joining me today! This entry was posted in 3D Foam Squares, Adhesive Dots & Lines, Adhesives, Beginner, Crafts & Tutorials, E-Z Runner® Grand, Planners, Repositionable Adhesive, Skill Level, Tutorial and tagged 3D Foam Squares Mix White, 3D Foam Squares Regular White, Adhesive Dots Large Repositionable, Christine Meyer, E-Z Runner Grand Dispenser, E-Z Runner Grand Ultra Strong Refill, Planner, Process Video, Tutorial, Video. Bookmark the permalink.